HyperX introduces the Cloud Stinger Wireless and the HyperX Cloud Alpha Purple Edition gaming headsets. 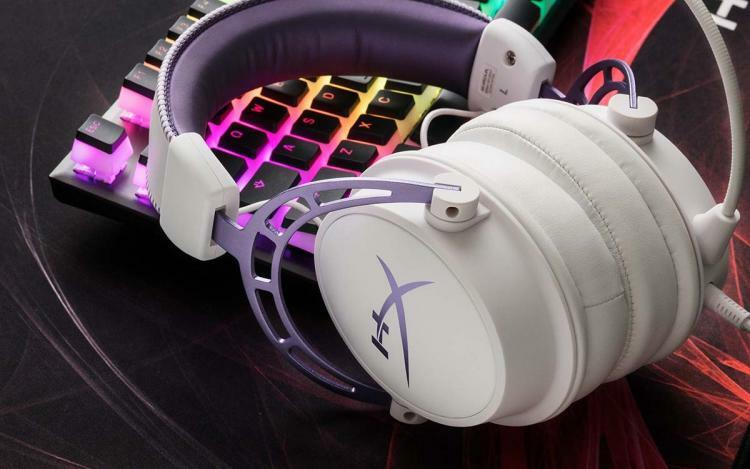 The Cloud Alpha Purple Edition was first announced at CES 2019 which is basically a purple edition of the award-winning Cloud Alpha gaming headset. Both gaming headsets are under the $100USD price range at $99.99 MSRP. The Cloud Stinger Wireless is a lightweight gaming headset with up to 17 hours of battery life. It weighs just 270 grams and features 90-degree rotating earcups for a fully adaptive and comfortable fit. Lightweight it may be, the Cloud Stinger Wireless packs powerful 50mm directional drivers that deliver high-quality gaming audio which is also good for entertainment. It comes with a swivel-to-mute noise-cancellation microphone as well. The Cloud Stinger Wireless uses the 2.4GHz wireless connection and supports PC, PS4 and PS4 Pro platforms. The HyperX Cloud Alpha Purple Edition features dual chamber technology to deliver accurate in-game sound with incredible range and tone. The dual chamber helps create a dynamic sound that makes audio more immersive and realistic be it on gaming and entertainment. Like the original Cloud Alpha, it also features a detachable cable with in-line audio controls for adjusting volume and muting the microphone. The Cloud Alpha Purple Edition is also Discord and TeamSpeak certified and is multi-platform compatible, supporting PC, PS4, and Xbox One with its 3.5mm connector.